Artis was the brand that kick-started the oval brush trend. The brand’s name originating from the Latin word for skill, these oval brushes are ergonomically designed for ease of use. Their densely packed fibres are meant to smooth makeup on with ease. I personally didn’t want to splash out on the rather expensive original Artis brushes, so Face.co.uk came to the rescue with their affordable dupe from Brush Works. I picked out the HD Oval Starter Set*, this contains the Large Oval Multi-Purpose Face Brush, Small Oval Flat Headed Brush and Domed Round Brush. 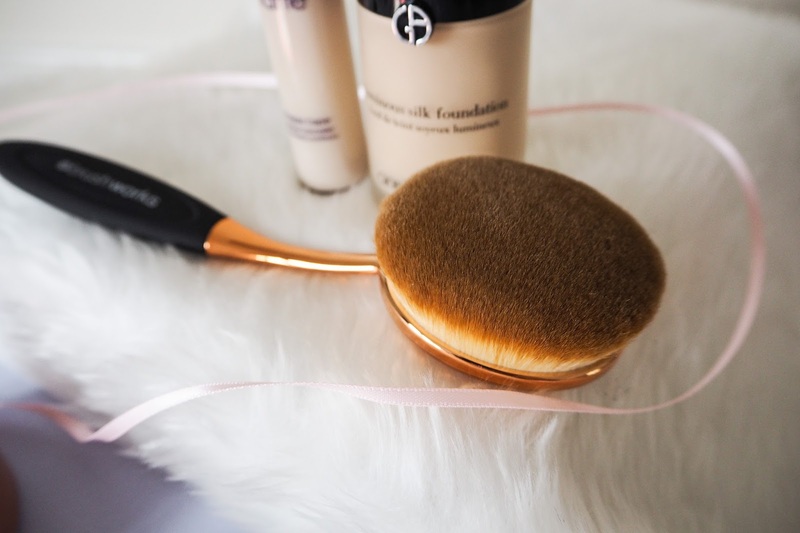 I tried out the Large Oval Multi-Purpose Face Brush with my Giorgio Armani Luminous Silk Foundation. Using sweeping motions, I blended out the foundation with ease. The brush seemed to spread the product further than a Beauty Blender would. I think the downsides to a beauty sponge is that it absorbs some of the foundation so you need more to cover your face. This brush just glided the foundation over the skin, very little was left stuck in the brush. The Small Oval Flat Headed Brush was the perfect size for under-eye concealer. I used my Tarte Shape Tape Concealer in a triangle shape, covering my dark circles. With a few sweeps, this blended the concealer out. I just patted the edges in to ensure it was seamless. 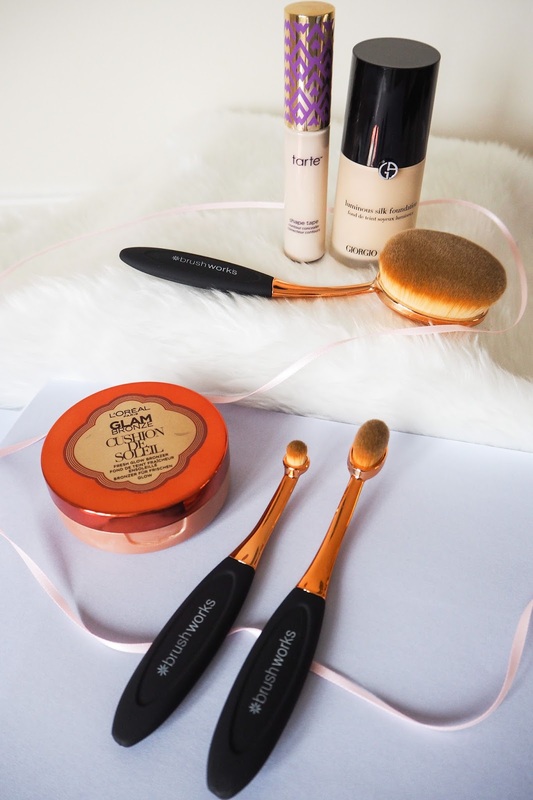 The brush also worked well with my cream bronzer, which is the L'Oreal Glam Bronze Cushion De Soleil. I’d never think to use one of these oval brushes for eyeshadow, but the Domed Round Brush is small enough to fit in all the delicate areas of the eye. I used it to smudge the pencil eyeliner I had applied to my upper lash line, it created a wonderful smoked out look. My beauty products seemed to go further than they would usually do with a beauty sponge, so I was impressed. 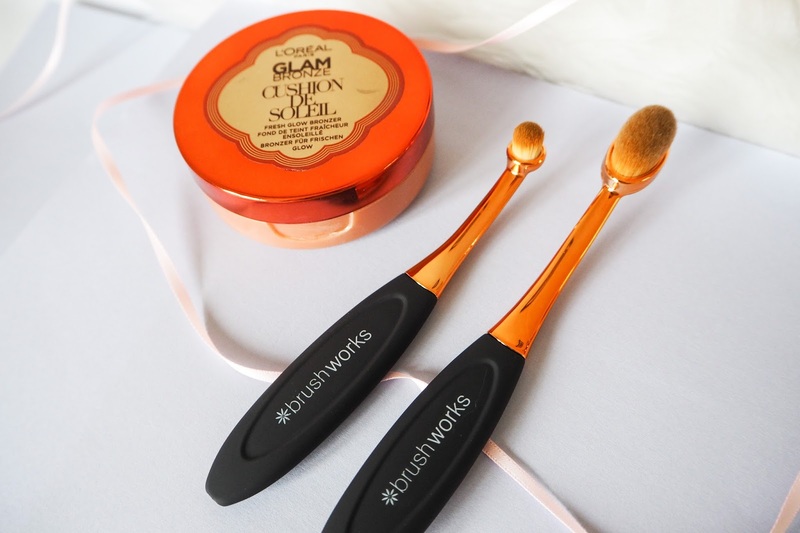 If you are a perfectionist, you might want to go over your first application with the oval brushes, with a sponge to create a flawless canvas. 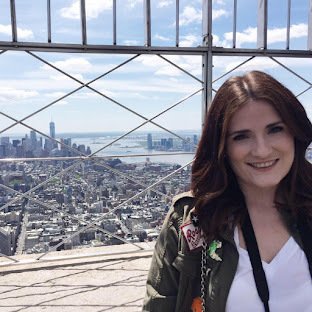 I was very impressed with the new Face.co.uk website, they have several hard to get brands like Violet Voss, House of Lashes and Lily Lashes, plus your more well-loved brands like Real Techniques and Beauty Blender. They are soon to be adding new products to their website so this could be a beauty bloggers dream website in future! I quite enjoy the oval face brushes for the face. It applies foundation and concealer quite wonderfully. I have some of these brushes from another brand and I love them so much more than I thought I would! I wasn't expecting to love them but they are great! I'm dying to try some oval brushes but like you said, didn't want to splash out. These sound like a great affordable option! Yes, such a good option!